Indiana became a state on December 11, 1816. 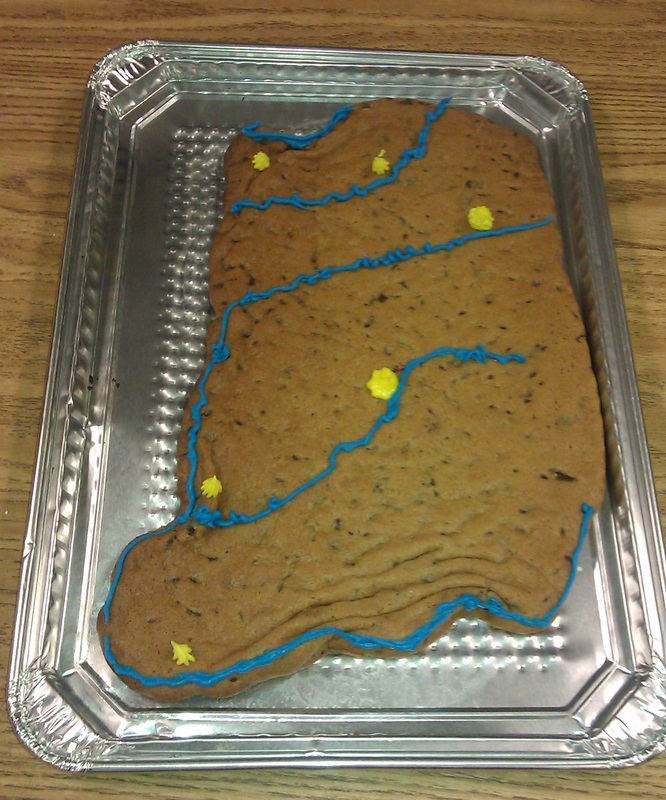 We celebrated Indiana's 198th birthday today by making and eating an Indiana shaped cookie cake. 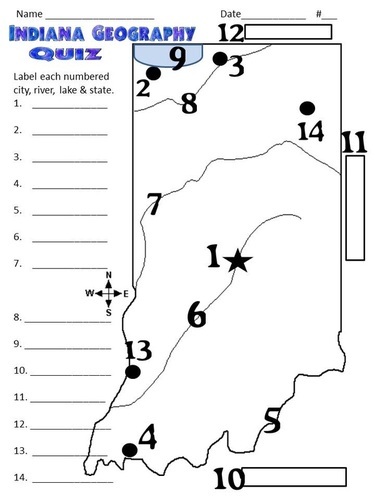 Blue icing was used to outline the major rivers: Ohio, Wabash, White, and Kankakee Rivers. Yellow icing was used to locate the major cities of: Indianapolis, Fort Wayne, South Bend, Gary, Vincennes, and Evansville. Click on link above to print map. I use 4-6 rolls of generic cookie dough to form the cookie cakes. I make these at home the night before by add a small amount of flour to the disposable cookie sheets and rolling/pressing the dough into the shape of Indiana. Then, I follow the cooking directions on the package. As I take these out of the oven, I use a spoon to reform the indentations along the Ohio and Wabash Rivers. This activity is always done mid-December to celebrate Indiana's "birthday". December 11, 1816 was the date that Indiana became a state. It is always a wonderful 4th grade memory.